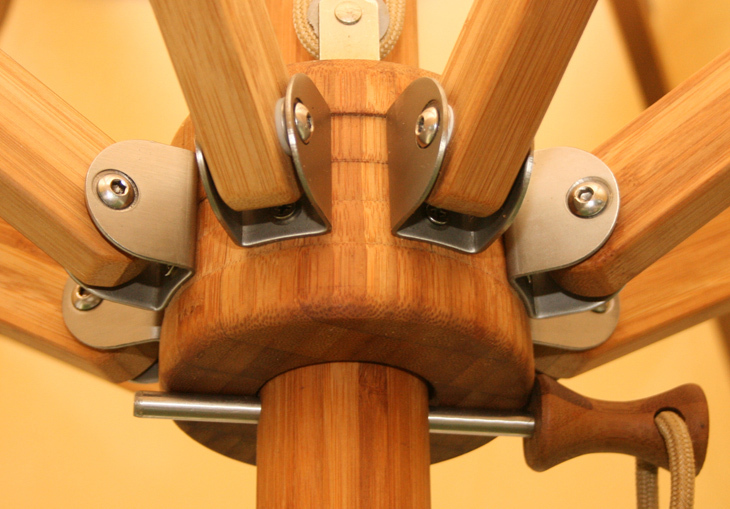 Why use Bamboo? See our wind test video. 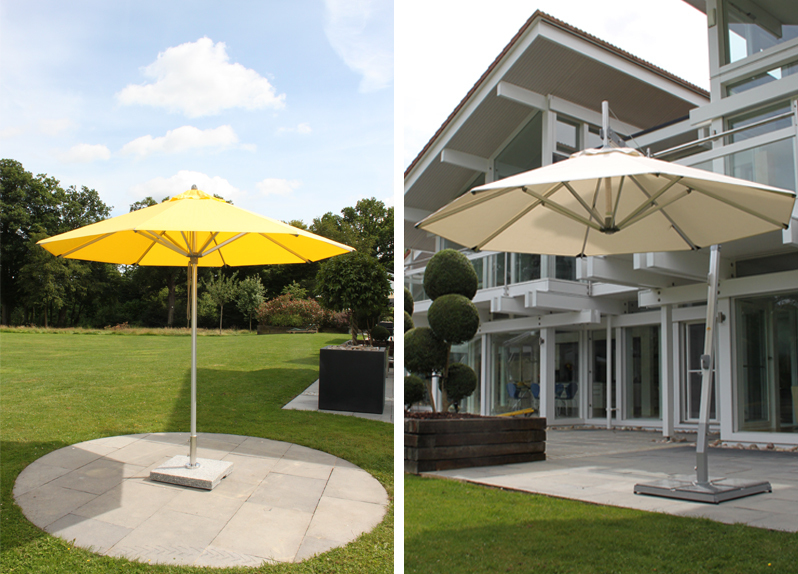 The process of producing Bambrella® umbrellas starts with the careful selection of the bamboo. After years of research and rigorous testing we found Moso bamboo to be the only species of bamboo suitable for outdoor use. The characteristic of Moso bamboo, that which sets it apart from over a thousand other species of bamboo, is the size of its fiber strands. These strands, which are smaller and more tightly condensed than other species, are similar to the structures found in fine grained hardwoods like teak. We had found other bamboos with larger strands that were not so tightly condensed; these were more like softwoods, as the fibers/strands would peel individually, as well as be more susceptible to mold and mildew. 3 mm thick extruded center pole, fluted for additional strength. Reinforced ribs for additional support. 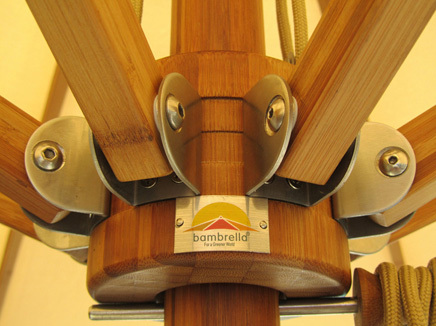 Bambrella® is a certificate holder in the Forest Stewardship Council (FSC®) program and we endeavor to source our bamboo only through FSC® certified forests. The FSC® has been certifying bamboo forests since 2008, and although bamboo is the fastest growing plant in the world, we at Bambrella® feel that these bamboo forests need to be managed responsibly. This will ensure that our bamboo is well managed while also protecting local communities and natural wildlife.